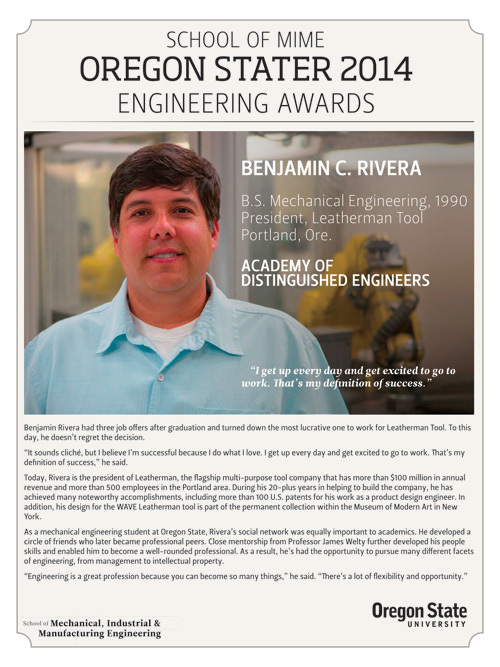 In 1998, the College of Engineering introduced the annual Oregon Stater awards to honor outstanding alumni and friends for their contributions to the engineering profession and to Oregon State University. The three award categories correspond to length of career and accomplishments. 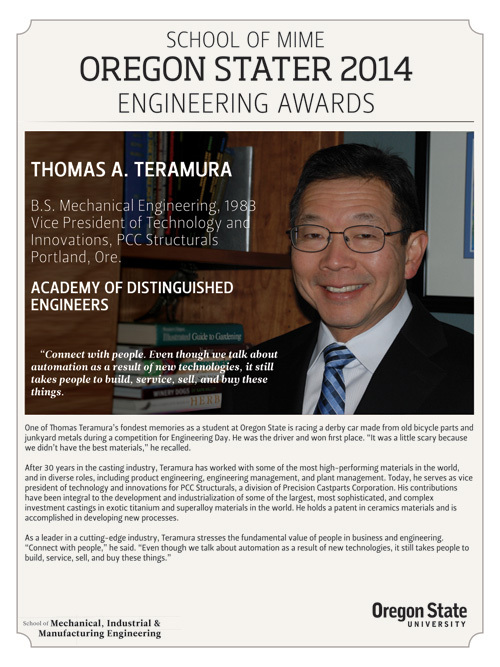 Academy of Distinguished Engineers: Individuals who at mid-career have sustained distinguished contributions to their profession, field, OSU, or society at large. 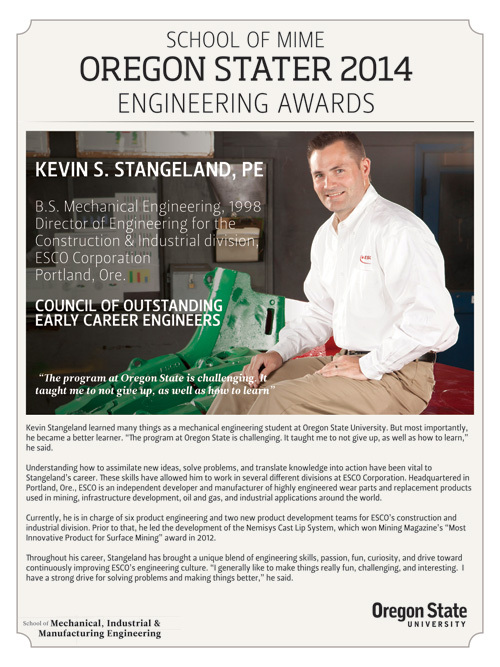 Council of Outstanding Early Career Engineers: Individuals who have distinguished themselves through professional practice and/or service to OSU, the profession, or society at large by making early-career contributions that identify them as future leaders in their profession or field. Engineering Hall of Fame: Individuals who have made sustained and meritorious engineering and/or managerial contributions throughout their careers.